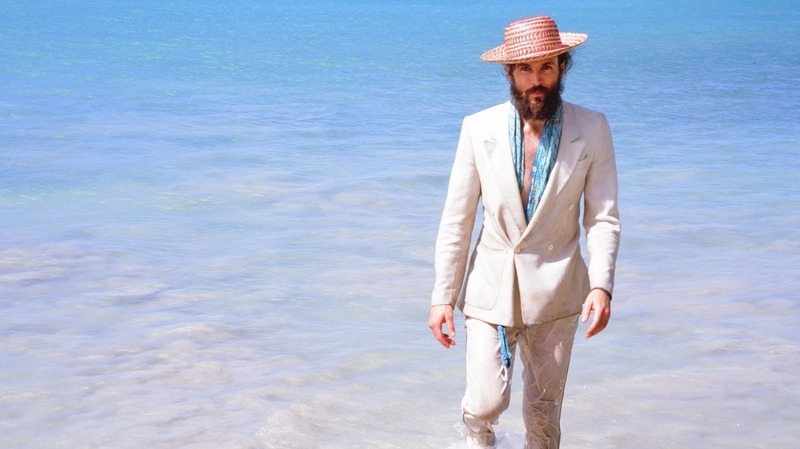 For 'All Is Lost,' A Songwriter Embraces Silence Alexander Ebert is the singer and songwriter of the band Edward Sharpe and the Magnetic Zeros. Now, he's also a film composer. He speaks with NPR about his work on All Is Lost, which stars Robert Redford as a solitary man lost at sea. Alexander Ebert is best known for his band Edward Sharpe and the Magnetic Zeros, a folk band with a dozen members. His latest project is the score for All Is Lost, a film about one man lost at sea. Alexander Ebert may be best known as the singer and songwriter of Edward Sharpe and the Magnetic Zeros — a band named for his messianic alter ego — which produced the addictive and catchy song "Home" in 2009. He has also enjoyed a successful career as a solo artist since releasing his self-titled debut album in 2011. This year, he turned his attention to yet another aspect of musical composition: the film score. Ebert composed the score for director J.C. Chandor's new film, All Is Lost, which stars Robert Redford as a solitary man lost at sea. The film features only one character and contains almost no dialogue. Ebert joins All Things Considered host Arun Rath to talk about the unique challenges — and freedoms — of his latest project. It really felt like stepping into nothing, and just sort of putting that first color on that gigantic canvas. Silence was the other main character, and ... I really wanted to respect the silence — and by silence, of course, I mean the natural sounds, and the sounds that Redford is hearing. The alto flute sounds like an approaching ship, in some ways, when you just hear a single note. It sounds to me like a foghorn. And of course it's also a very breathy instrument ... that reminds me of the wind. And something calling to him ... his own surrender calling to him. Popular music usually has a chorus that needs to repeat, and people need to remember the song. That's sort of the major guideline when you're writing a song. And to be able to write something that did not have a chorus — and that would play for as long as it needed to and naturally disappear and come back whenever it needed to ... for me, that was very natural, actually. It was super liberating.